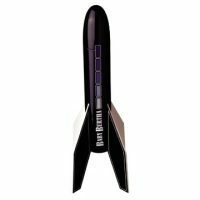 This rocket features early 80’s 8-bit graphics decals. 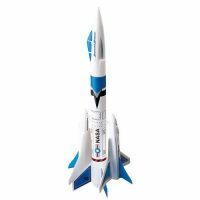 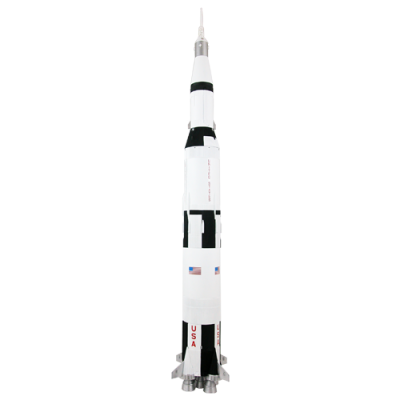 Its features include an durable plastic nose cone, pressure-sensitive decals, die-cut fins, and streamer recovery. 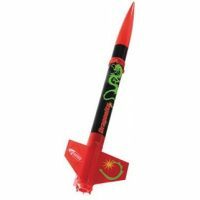 This rocket launches to heights of over 1000 feet.